JUST TRADED AT OUR DEALERSHIP!!! 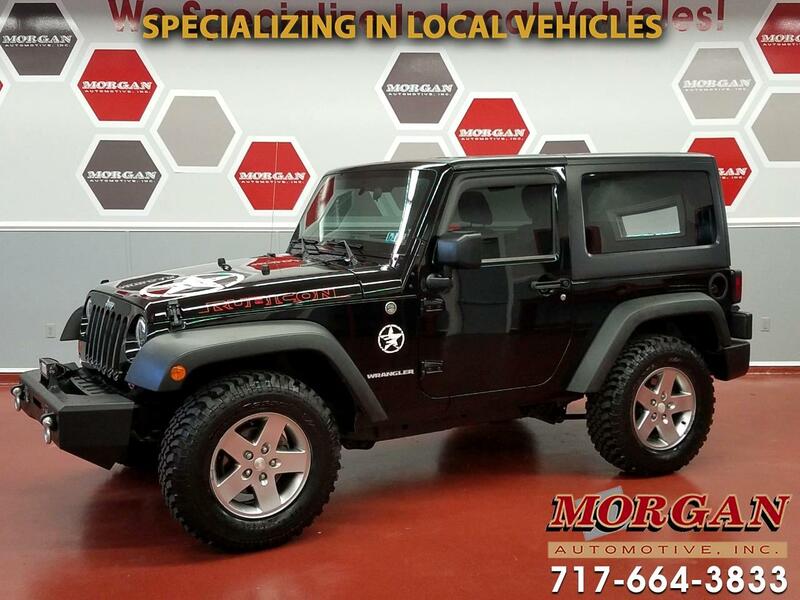 ****AWESOME 2011 JEEP WRANGLER RUBICON 4X4 WITH HEATED LEATHER SEATS!! ****CLEAN CARFAX AND ONLY 86K MILES! ****This is a really sweet Jeep with brand new BFG Mud-Terrain tires! It comes with black Freedom hard top, hitch and 4-pin wiring connector, power windows, locks and mirrors, cruise control, air conditioning and uConnect radio with Bluetooth, AM/FM/SAT/CD/AUX/USB and Navigation, ESP traction control, Sway Bar control, locking axle and fog lights. Comes with a 4-month/4,000 mile powertrain warranty along with the option to extend coverage for added peace of mind. Financing is available and all trades are accepted. For more details on this awesome Jeep please contact our friendly commission free sales team at Morgan Automotive today.